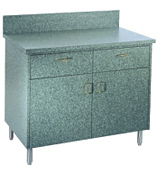 cabinets, institutional dining room cabinets, cafeteria cabinets. Great for movie theatre concessions areas. 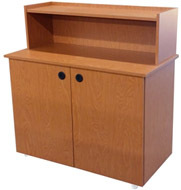 Choose from standard products or modify our standard products to custom fit your specific application. 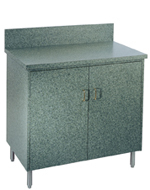 Wide variety of high pressure laminate options for cabinet tops and cabinet body panels. 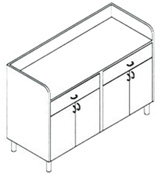 42" W X 24" D X 36"
Intended for commercial, industrial and institutional applications. 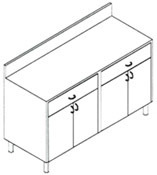 Cabinets Above Include One Adjustable Shelf. Please phone or E-mail for delivery time and freight charges.